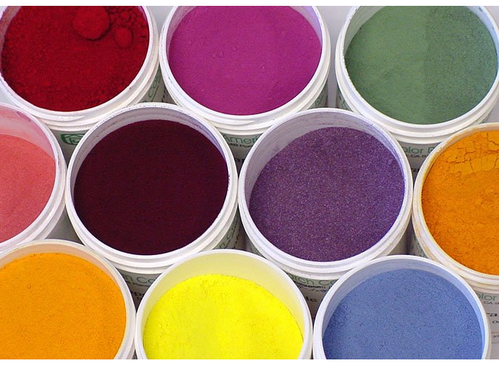 We are offering our clients high-quality organic pigment emulsion. These have all the requirements for the formation of a stable, water fats and the bright resin film. Our products are suitable for the printing on machines & screen and give bright print on textile. The products are appreciated for their low cost, easy application, colorfastness and brightness. Operating in the industry for over a decade now, the company is consistently meeting the demands of food & bakery, cosmetics and pharmaceuticals through a quality assured range of Primary Food Colors, Synthetic Food Colors, Blended Food Colors and Natural Food Colors. Our range is in adherence to the international quality norms and is offered in food-grade packaging material. In order to ascertain quality of our food colors and dyes, we are following a total quality management system and adopting innovative techniques for its production. Further, we also ascertain hygienic and dust free environment at our premises so that our range is free from any contamination. Being a socially responsible concern, we are also working towards environmental protection & accident prevention. For this, we have adopted a health and safety policy that incorporates safeguarding of environment, implementation of safe practices and adherence to required norms. All these factors have made us a prominent name across the country, as well as the international markets of USA, Canada, UK and European countries.